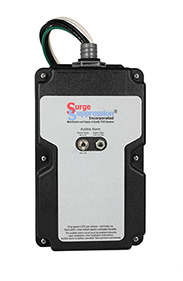 Surge Suppression Incorporated parallel connected surge protective devices have, time after time, provided the brute strength and unsurpassed durability needed to protect mission critical systems during lightning strikes and transients that result from severe power system faults. Designed to safeguard delicate microprocessor based electronics, our surge protective devices allow your critical systems to stay up and running, keeping your company in business while neighboring facilities (often competitors) suffer extensive damage, extended downtime and lost revenue. This is a competitive “Advantage” that is critical to your company’s well-being, bottom line and future. 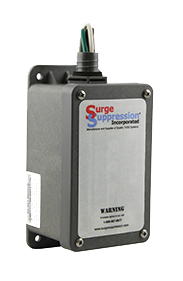 The Advantage series of parallel connected surge protective devices represent the latest in surge suppression design and performance. By blending advanced computer circuit modeling with tried-and-true design principals learned over the past twenty-plus years, the Advantage series has the lowest let-through voltage, providing the highest possible protection levels. Component-level thermal fusing combined with patented, internal, circuit board mounted overcurrent fusing and Voltage Responsive and Frequency Responsive Circuitry, gives the Advantage series unmatched performance and safety and makes it the best and most advanced surge protective device available today! Designed to safeguard delicate microprocessor based electronics, our surge protective devices prevent your residence, home office or light commercial location from suffering extensive damage, extended downtime and lost revenue. This is critical to your company’s well-being, bottom line and future. The RES/RESS series of parallel connected surge protective devices represent the latest in surge protective device design and performance. By blending advanced computer circuit modeling with tried-and-true design principals learned over the past twenty-plus years, the RES/RESS models have the lowest let-through voltage, providing the highest possible protection levels. Component-level thermal fusing combined with patented, internal, circuit board mounted over-current fusing and Voltage Responsive and Frequency Responsive Circuitry, gives these products unmatched performance and safety, and makes them the best and most advanced Residential and Light Commercial surge protective devices available today! 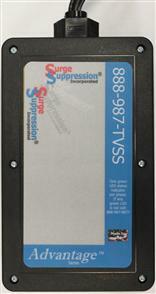 Surge Suppression Incorporated parallel connected medium voltage surge protective devices (1 kVRMS to 7.2 kVRMS) have, time after time, provided the brute strength and unsurpassed durability needed to protect mission critical systems during lightning strikes and transients that result from severe power system faults. Our surge protective devices allow your critical systems to stay up and running, keeping your electrical system from suffering extensive damage, extended downtime and lost revenue. This is critical to your company’s well-being, bottom line and future. 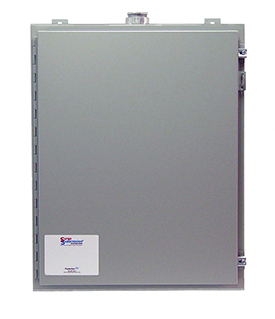 The Medium Voltage series of parallel connected surge protective devices represent the latest in surge protective device design and performance. By blending advanced computer circuit modeling with tried-and-true design principals learned over the past twenty-plus years, the Medium Voltage series has the lowest let-through voltage, providing the highest possible protection levels. Our Medium Voltage series has unmatched performance and safety, making it the best and most advanced Medium Voltage surge protective device available today!